The Garshalboni farmhouse is meant for nature loving tourists and not frolicking crowd. 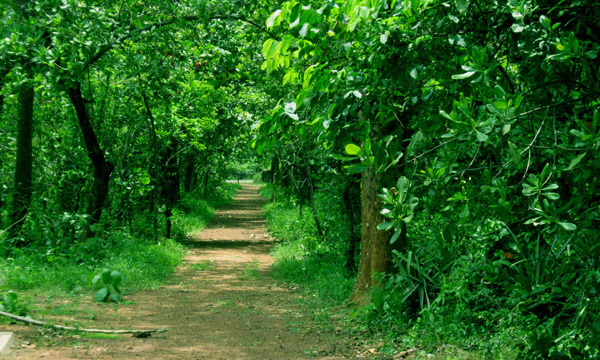 If you are one of those who like to spend your weekend idling away in the forests enjoying the nature, then Garhsalboni is perfect for you. Places to see in Garshalboni: You will surely take sometime to explore the farmhouse’s natural surroundings and the extensive jungle all around. 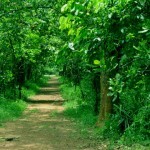 The forest with its variety of existing saal, teak, mahua, cashew trees and mango trees will surely interest you. There is plenty to see around Garh Salboni like the textile printing works of Printex, a small zoo, the government Ayurvedic medicinal plant garden and a spring well nearby. However, Garh Salboni is the perfect destination to relax within pristine nature in a farmhouse filled with history. 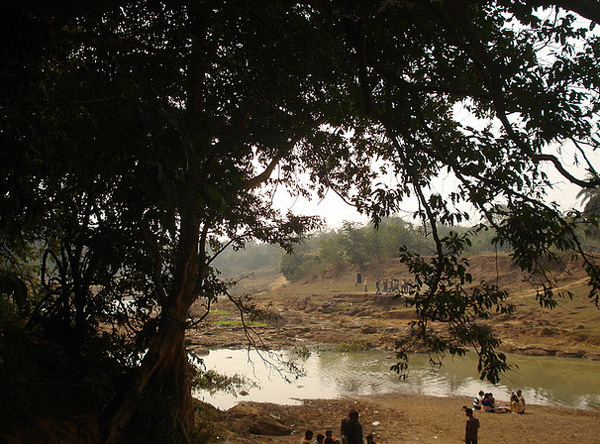 Nearby attractions at Garshalboni: Kendua village – few kilometers from the farmhouse is home to numerous migratory birds. The Dulung River flows through another beautiful spot nearby called Chilkigar, which houses an ancient Kanakdurga temple just 22 kms away and a Shiva Temple. 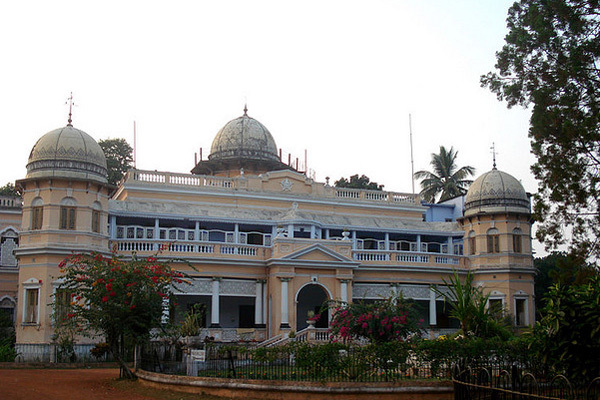 You can also visit Jhargram Raajbaari (King’s residence) located nearby. Another major attraction is the garden of Medicinal plants located nearby. You would find numerous temple and palace ruins all across the place. Things to do at Garshalboni: You can relax in the serene and peaceful environment of Garhsalboni. You can visit the nearby places of attraction, especially the ancient temple of Goddess Kanak Durga and discover more about the history of the place. Birdwatching at Chilkigarh and idling beside the Dulung River are few other things you can do here apart from watching a tribal dance during the evenings. How to reach Garshalboni: You can avail the Ispat Express from Howrah Station. After crossing Kharagpur, you need to get off at Jhargram Station. From there, you can take an bus to reach Garshalboni forest (10 kms away). Alternatively, you can travel by car from Kolkata. The distance is around 170 kilometers and it takes about three hours. After crossing Kharagpur, you have to drive for another 35 kms on Bombay Road to reach Lodhashuli Crossing, from where you have to drive for another five kilometers to reach Garshalboni Forest. Best time to visit Garshalboni: You can visit Garhshalboni throughout the year. The winters are excellent for the migratory birds and the rainy season is favorable for the greenery all around. Lodging and Food at Garhsalboni: The farmhouse at Garhshalboni covers an area of around 70 acres. All types of trees like teak, mango, saal and hundreds of different types of medicinal plants grow in the premises of the farmhouse. 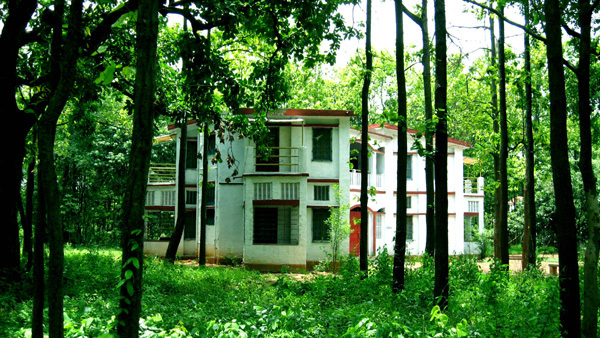 The present farmhouse was the erstwhile forest retreat of the Malla kings and later taken over by the British. It presently accommodates tourists in its twelve rooms and an extensive dining area. 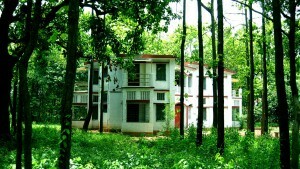 The rooms are Double Bedded without AC facilities and have attached Western Toilets. Food is served for the guests in the Dining hall and the cuisine is essentially Bengali. You can savour fish, chicken and a whole lot of lip-smacking delicacies here. Great that you liked this website. It is a WP theme modified by our Web Consultant, search for it at WordPress. As suggested by you myself and my friend have visited Garshaboni from 19th August to 21st August, 2012. We liked the place, its scenic beauty , serenity and the arrangement with personal touch. The food was healthy and delicious. Thank you for that.